Every SPARKLE garment has a small radio frequency identification (RFID) chip sewn in that enables us to track garments at every step in our production facility with 100% accuracy. SPARKLE’s exclusive Scantrax Garment Tracking System solves the problem of missing garments once and for all! Each garment is marked as “in process” in our production facility. Garments are sorted and reassembled into each individual’s bundle for the client’s account. Each bundle is verified for the right wearer and company prior to being loaded onto our trucks for delivery. 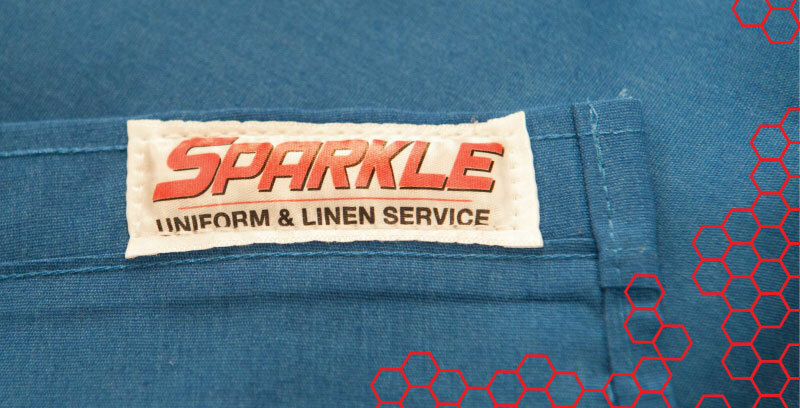 SPARKLE provides you with a reliable, trouble-free uniform service so that your employees have ready-to-wear garments that represent your company well every day!